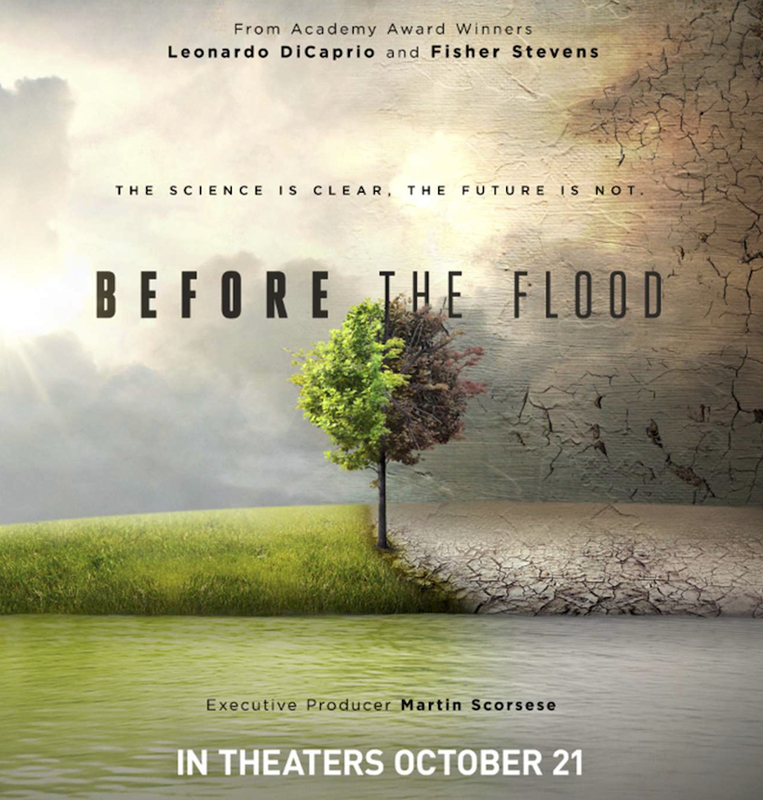 Watch the Before The Flood Film! My MacBookPro crashed last Friday - busted graphics card - my computer where I do all my photo editing. Soooooo new recipe posts are a big challenge until it returns from the Genius Bar. For now I'm squinting into my tiny screened travel computer. But that's ok because no recipe today. Today we watch a movie! Yup. Movie hour, courtesy of Leo DiCaprio. Before The Flood is a climate change documentary narrated and produced by Oscar-winner, Leonardo DiCaprio's company Appian Way. You may have heard of him. Directed by Fisher Stevens. While writing this post I have watched and re-watched the film and love it each time - I have found something new on each viewing. The cinematography is gorgeous, despite the depressing subject matter, and the film is packed with interviews, facts and on-site discoveries. It is no secret that "climate change" gets a lot of bad PR, and many people regard it as a "fake" or "made up" issue. Well whatever your point of view on this topic, please give this beautiful film a look and see how you feel when you walk away. I promise you, you will learn something new! 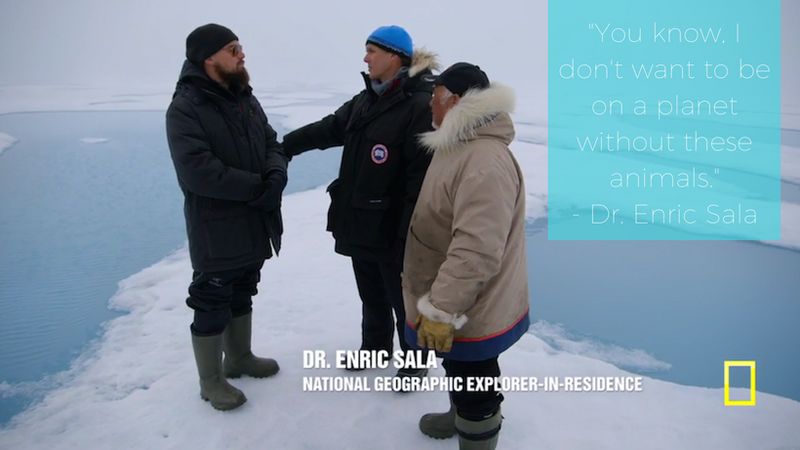 Ahead, watch the film and learn my favorite moment in the film..
My favorite scene and quote from Before the Flood is when Leo is on Baffin Island in the arctic and chatting with Dr. Enric Sala, National Geographic Explorer-in-residence. 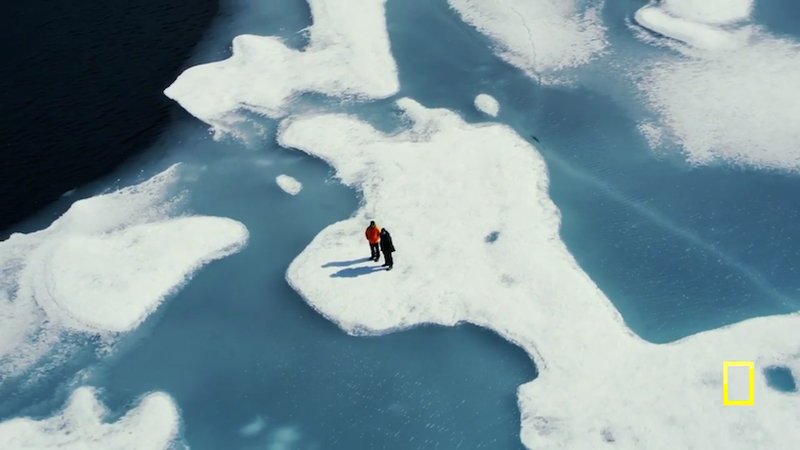 They are walking on this frighteningly thin light blue ice and then suddenly the camera zooms out and they are surrounded by thousands of Narwhal whales, all diving in and out of the crisp, freezing water. It is gorgeous and magical. Narwhals have these long pointy tips on their nose, so they are basically a giant dolphin and a unicorn combined into. Gorgeous. As Leo and his two guests walk and listen, Leo says he is stunned by the beauty and says it sounds like the Narwhals are purring. His reaction actually reminded me of his "acted" reaction in Titanic when Jack spots the dolphins swimming and jumping alongside the bow of the ship. But I digress. 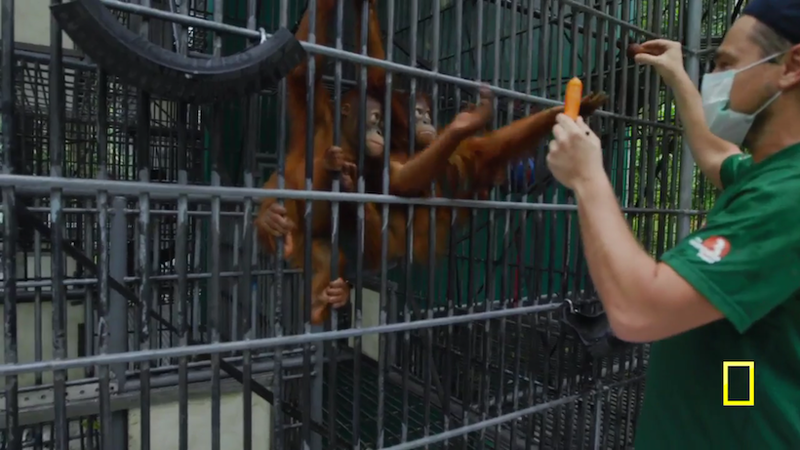 My fave part in the film..
"You know, I don't want to be on a planet without these animals." YES. Me too. Hand raised. 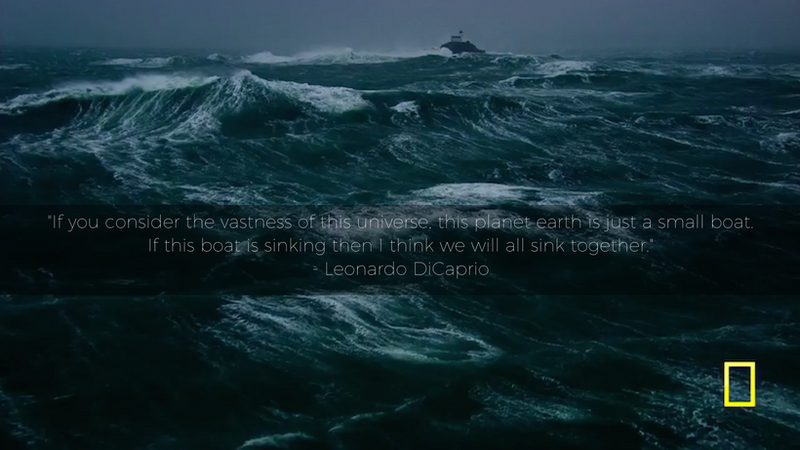 Before The Flood Film. 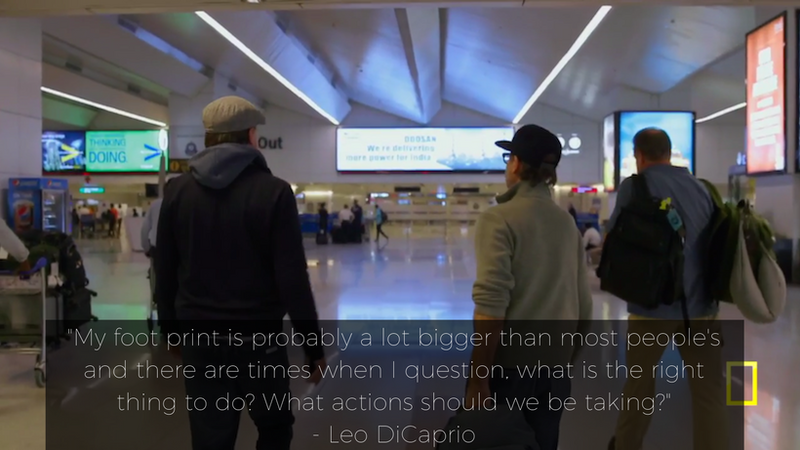 So basically, if Leo narrated a film about paint drying I would probably enjoy watching/listening to it. Truth. But really, this film was incredible. I loved the interviews, some behind the scenes shots from his work on The Revenent and how that tied in with the subject matter and so. much. more. 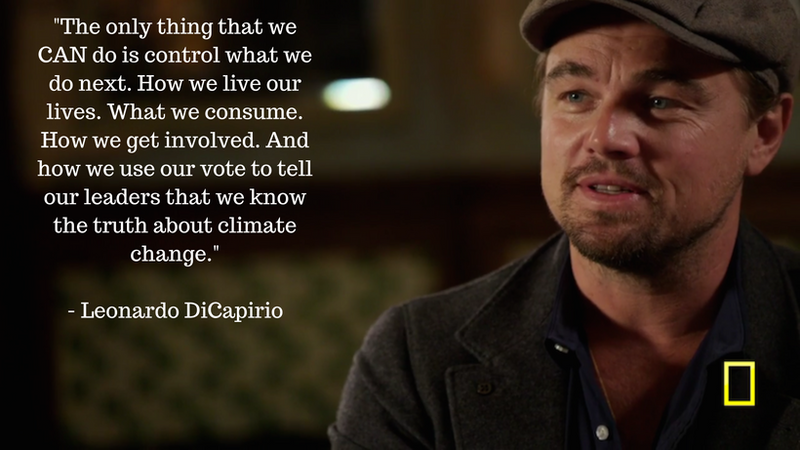 I walked away feeling like Leo is truly a warrior for climate change. 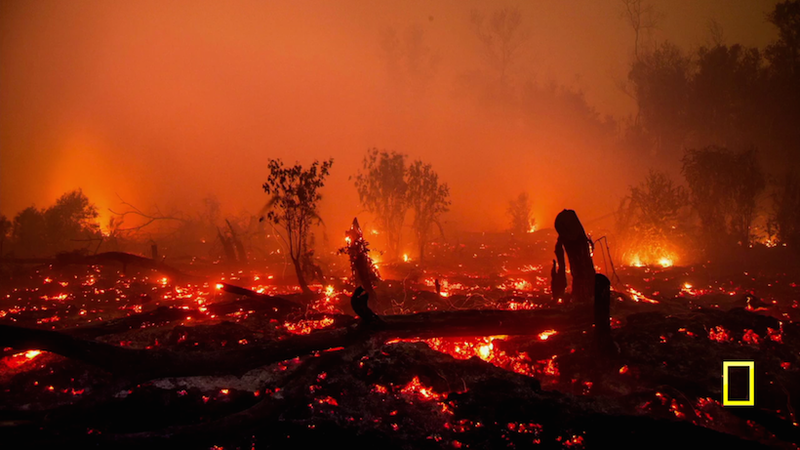 Climate change is truly something that effects each person and living creature on this planet and we have to start talking about it in a more honest and aware manner. And we have to stop treating it like a unicorn, tooth fairy or Santa Claus... Climate change is real. No matter what you think the outcomes will be, climate change is happening, the ice is melting, the coral reefs are dying, we are burning down the rain-forests, animals are losing their natural homes, species are dying off, we are addicted to animal products which take up insane amounts of resources, the weather patterns are changing -- things are changing. Facts. Skeptic? Read this interesting fact..
"So Europe would get colder? 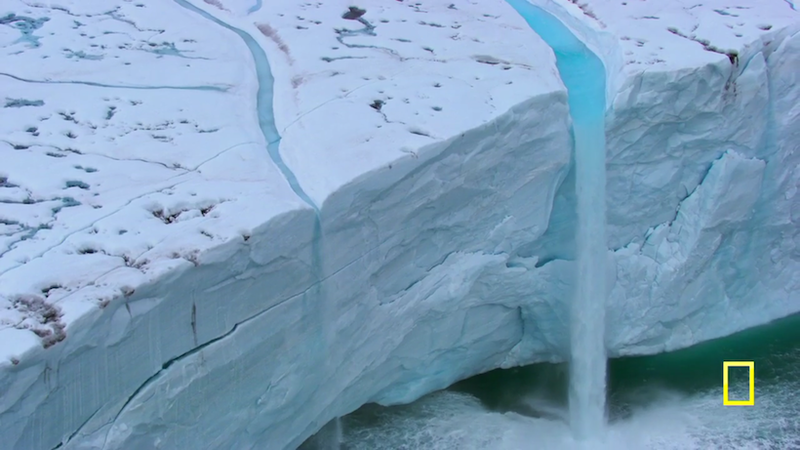 Because that is the big misconception about climate change is that everything gets warmer." Sadly the 'watch for free' phase must have passed, but you can still rent the film or buy it. It is around $3-4 to rent. About the price of a small latte! Worth it. 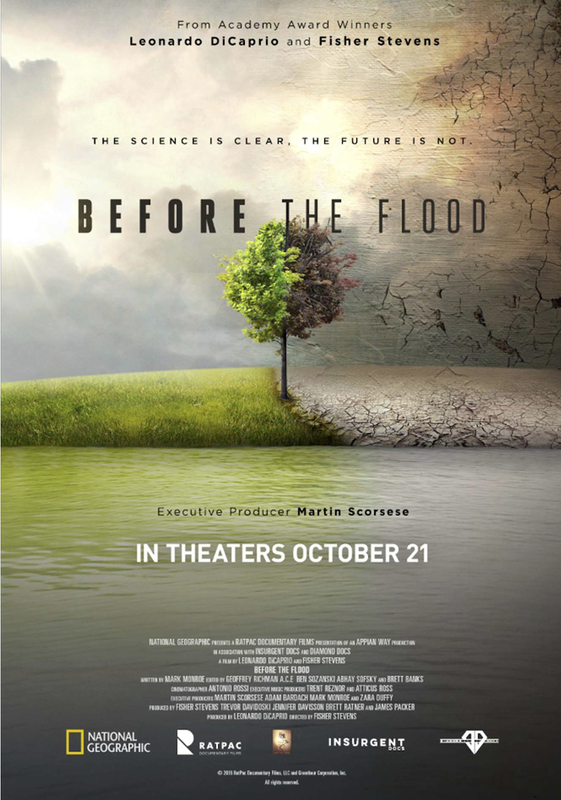 Rent or buy it on Amazon here: Before the Flood. Some interesting facts about diet and beef consumption in Before The Flood, all quotes by Gidon Eshel, PhD..
"Of all the reasons for tropical deforestation, the foremost is beef. Beef is one of the most inefficient uses of resources on the planet." 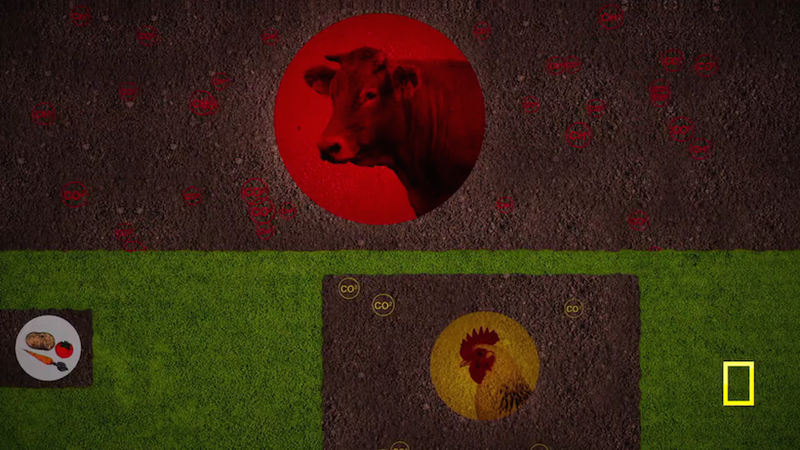 "In the US, 40% of land is used for food production. 70% of that is used for feed for cattle and 1% is used for thing we actually eat, fruit, vegetables, nuts." "Every molecule of methane is equivalent to 23 molecules of CO2. And of the methane in the atmosphere, nearly all of it is due to livestock." "Maybe not everybody is ready to eat tofu 24/7, I get that, ... but if you switch to chicken, you will have eliminated 80% of what you emit, depending on where you are coming from." More images from the film..
**All images are screen grabs from the film and copyright to Before The Flood film.